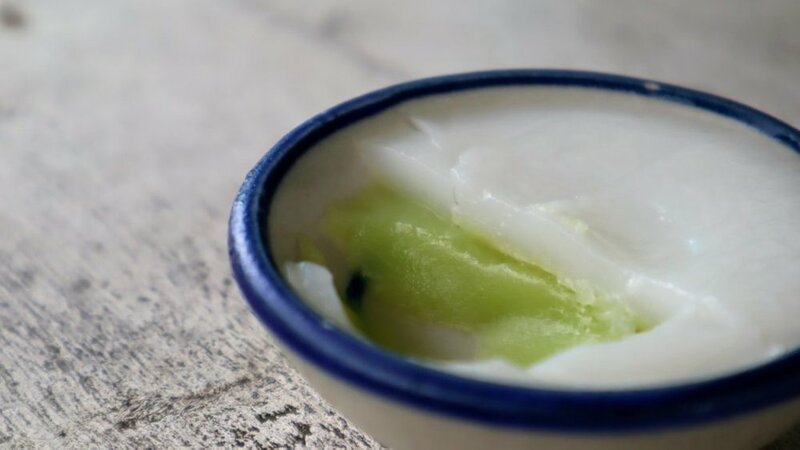 Have you heard of Thai style coconut rice custard? 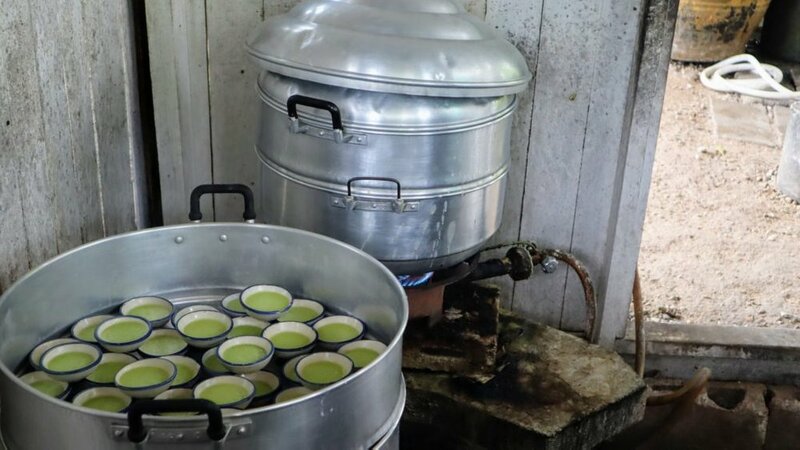 'Thai style coconut rice custard' or 'Kanom Tuay' is a steamed Thai sweet separated into two layers. 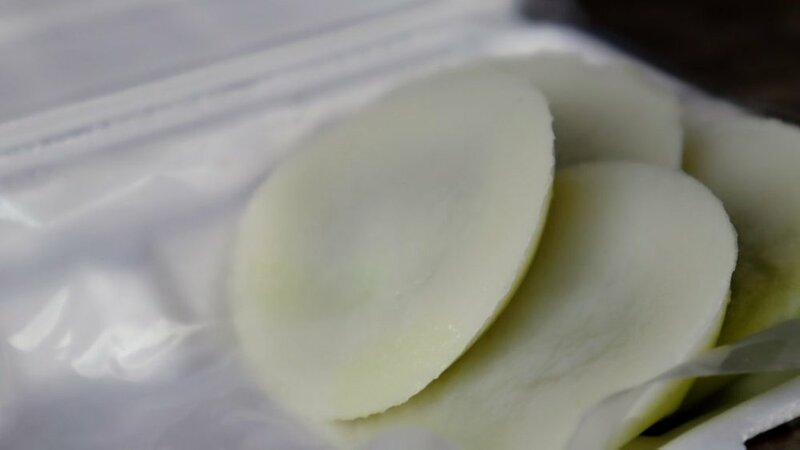 The lower layer made of rice flour, pandan juice and sugar and the top layer made of thick coconut milk. This shop is sure pretty small but the dessert sure made with love. It's all homemade and family owned. When we got there, the daughter came out and welcome us warmly. She gave us a few cups of kanom tuays to try to make sure we like it before spending any money. I was also curious if they really made them in house and who made all those. She showed me around the small shop and even let me walk inside to see the process of making Kanom Tuay. The process that we see right here is when they finished steaming the lower part of the dessert and were waiting till it cools down. After that they top them with the upper layer and steam them again. We ordered a box of 8 pieces for 20THB ($0.7). 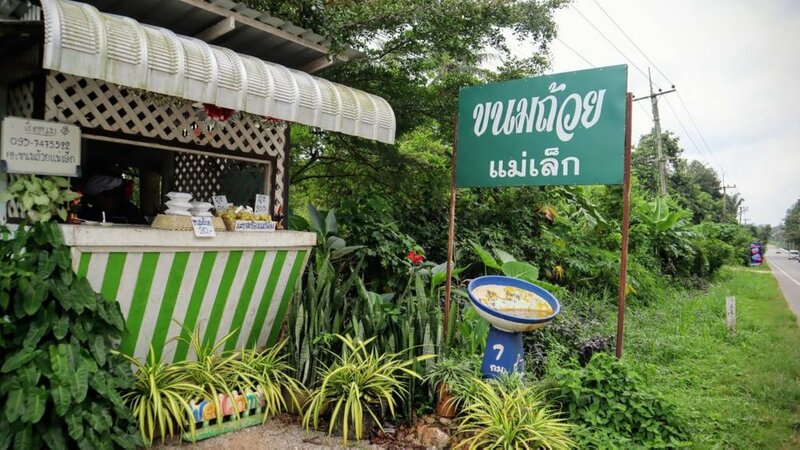 It's going to be hard for you to miss the place as it's on the way from the city to the famous beach in Chumphon called Thung Wua Laen Beach (หาดทุ่งวัวแล่น) and also to that secret beach, of course! That's how we found out about it. It's not just about the dessert that we love but how how friendly and welcoming the owners are. Plus the fact that's it's homemade and family owned. 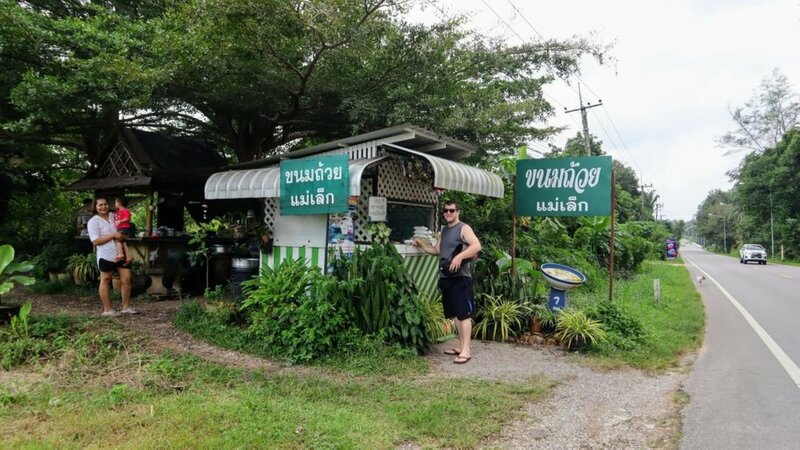 Totally a good way to support the small local business while travelling! All copy and photos are original content by me.